Well this week has been super busy. What with getting ready for heading to Heathers party and looking forward to Lucie coming to visit and having a much needed catch up with Tricia, then there was the finishing of projects and the starting of stitch a longs, I’ve been very busy. First things first were the stitch a longs I started with Lucie and Heather. On Friday nights we work on Little House Needleworks Ornaments. On friday night just gone I worked on Red House in Winter. This is my progress so far and I’m expecting to finish it next Friday. On Saturday at the party in Heathers we were able to have a live Stitch a Long, its not often we get to do that ! 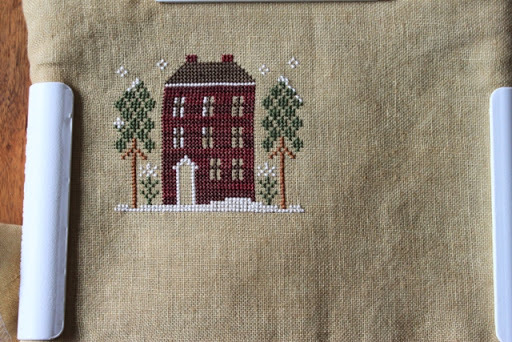 Our Saturday project is Liberty Lane by Country Cottage Needleworks. For our Sunday SAL we have chosen Home of a Needleworker (too! ) 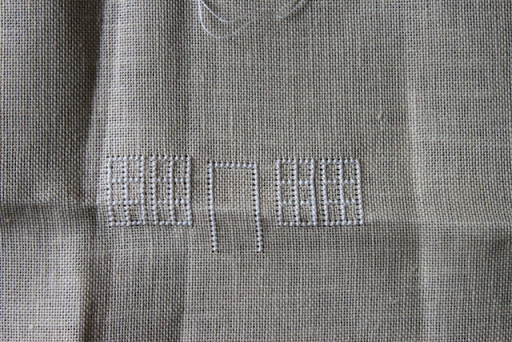 by Little House Needleworks and this is the progress so far. As I said I also had some finishes. First finish was for the Lizzie Kate Exchange Blog My piece was for Elisa and I can show you now as she has safely received it. My second finish of the week was a picture for Heather for her birthday. When I got back from the party at the weekend it was to find that I’d won a Stylish Blogger Award from Silverlotus I must say I feel very honoured and I am delighted to receive it. Thank you so much for considering me for it. The rules of the reward are as such. The seven things about myself….. 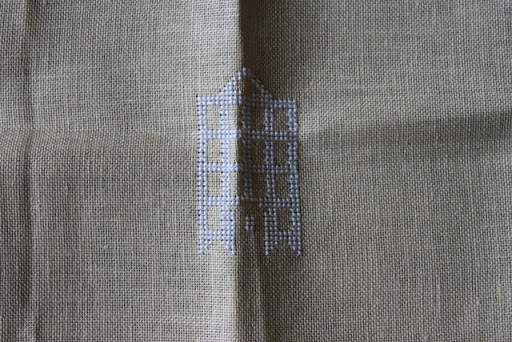 I love to stitch on evenweave and linen, any count or colour I’m not fussy. I love flowers of all kinds but roses are my absolute favourite. I will also be doing my review of my daylight lamp this week so watch out for that, I can’t recommend them enough from the Daylight Company but more on that in a day or two. It is fun to stitch with othersYour WIPs are coming along great.Congr. on the award. I'm so jealous of your real life SAL! 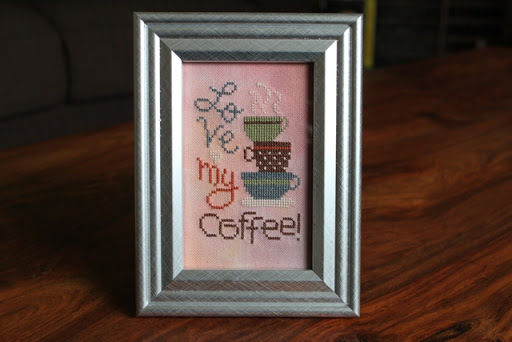 I've been wanting to organize one at my church since discovering there are quite a few cross stitchers there. I'm in a few online ones, but I imagine actually sitting in the same room woudl be lots of fun!I love the finishes. Very cute! I'm sure they were well received.Congrats on your award! It was fab to have the real life SAL – we must do it more often 🙂 Well done on your stylish blog award and thank you for passing it on to me :)Missing you all lots already! 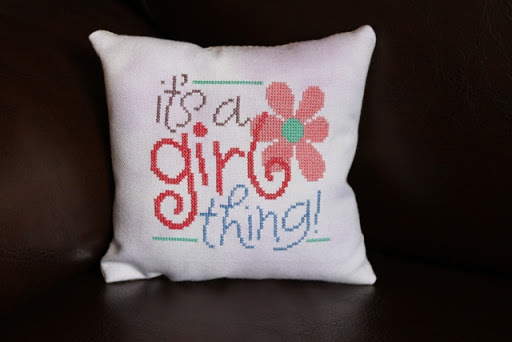 It sounds like you've been having a lot of fun with the gtg's.Beautiful stitching! Sounds like the best kind of party to be to Ruth! Heather must have loved her gift! Lucky girl!And congrats on the award! Always knew you were stylish :-)And thanks for passing it along to me! Lovely WIP's and finishes.Congrats on your award.